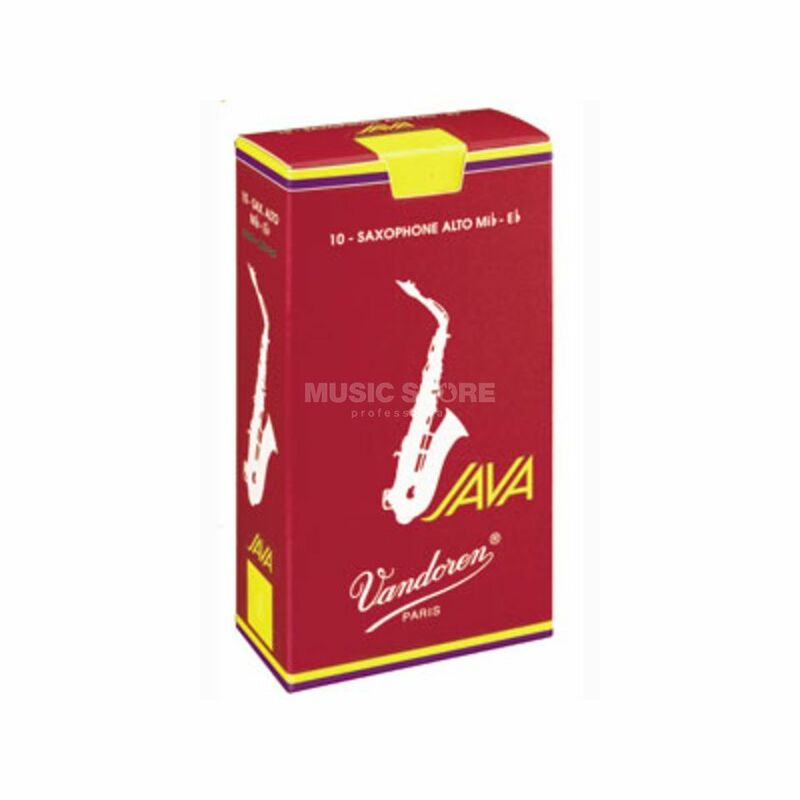 The Vandoren Java Filed Red Eb Alto Saxophone Reeds Strength 3.0 Box Of 10 is a box of 10 Eb Alto Saxophone Reeds, with a filed cut, and a strength of 3.0. The driving force behind the JAVA “Filed - Red Cut” design was to offer more sonic possibilities to musicians while keeping the qualities of the original Java. More flexible than its elder version, with a little more tonal body, the JAVA “Filed - Red Cut” offers a full, rich, centred sound and excellent projection with an extremely precise attack. A relative of the JAVA reed family, the JAVA “Filed - Red Cut” is the first file cut Vandoren reed for jazz and popular music. It also benefits from a completely new design.